Looking for a simple and straightforward solution for a pendant?What can be simpler than the SoCo fixture by Tech Lighting? 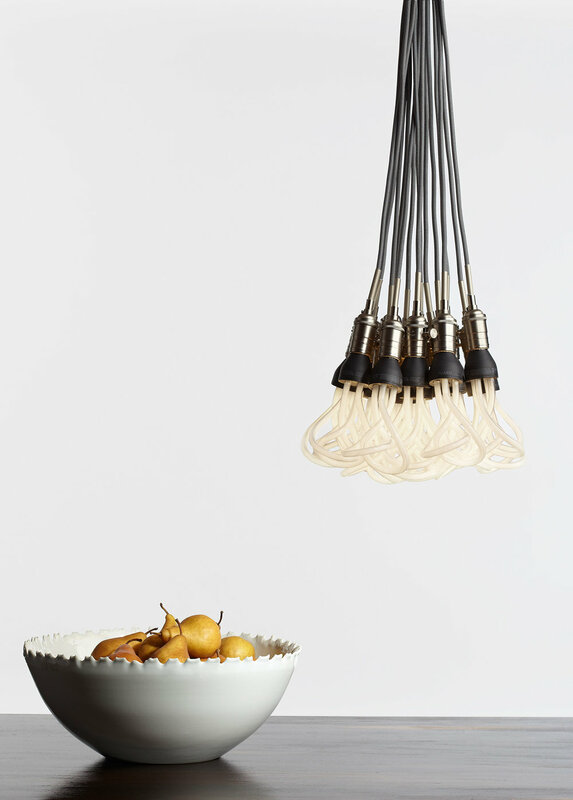 It's just a cord and a socket with a decorative nostalgic Edison bulb. Use it by itself or in a cluster as shown for added drama and visual presence. The SoCo system of Sockets and Cords delivers choice, flexibility and the power of custom design. Mix, match and cluster to create a truly unique light sculpture or just install a few at a time to put light exactly where you need it.